The Roman Empire was a vast and multi-ethnic society and thus a diverse range of professions were needed to sustain the economy of this vast empire. One of the most important features of this economy was heavy dependence on slaves. However, a variety of other professions were available to the people at large. The jobs of more prestigious nature such as political administration and military leadership were mainly reserved for the Roman upper class known as the Patricians Class while the common people, known as the Plebeian Class, indulged in a variety of common professions. The Roman empire was heavily dependent on slaves and while it is hard to pinpoint the exact number of slaves in Roman Empire, it is estimated that over 25% of all the people in the Roman empire were slaves. A wealthy man could own as many as 500 slaves which could be used for various purposes. Some of the most common jobs done by slaves included farming, domestic services, and construction works. Educated slaves from more respectable backgrounds, which were mainly Greeks, could also be employed in respectable professions such as teaching, accounting, and medicine. 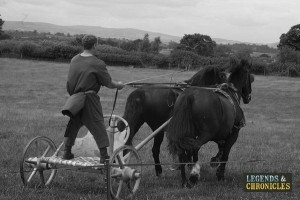 Farming was a very common job for ancient Romen men. Of course in civilisations like ancient Rome, it wasn’t always possible to choose your career, but in some cases there were some options available, either through inherited roles or via your family’s status. Below we will explore some of the options available in Roman times. The political structure of ancient Rome was quite complex and the government included various institutions. Ancient Roman jobs in government included tax management, military service, public administration, and membership of the senate. The highest ancient Roman jobs in government were reserved for the elite classes. These were the members of the senate who retained their membership for life. There were over 600 members of the senate and they were quite wealthy and powerful. Other Roman jobs in government included magistrates, provincial governors, praetors, equites, censors, and others. There were various domains of jobs that fell under the administration responsible for the Roman government. These included tax collectors called ‘publicanus’, clerks for bureaucratic work known as ‘notarii’, administrators in the financial offices known as ‘rationalis’, and others. Jobs roles like lawyers, teachers, and engineers were reserved for more educated and skilled Romans. Even educated slaves from respectable backgrounds could become teachers and lawyers. These were mostly Greek slaves who were highly educated. 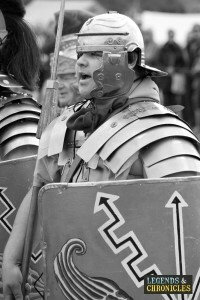 A job choice for Roman men was to join the military. The Roman Empire was essentially a military empire and required a large army which was needed to retain territorial lands and possessions and fight with rival empires, tribes, and states. Ancient Roman jobs for military were open to people from all backgrounds and this was one way for the people of the lower classes to earn a regular wage and have a piece of land at the end of their service, giving them upward social mobility. Soldiers were often used in the building of forts and roads as well. Large swaths of territory in ancient Rome consisted of farming land. Farming and agriculture was also required to feed large urban populations and ancient Roman jobs related to farming were numerous. Important ancient Roman jobs related to farming involved planting, sowing, reaping, harvesting, and jobs to operate mills and granaries. Field work for farming was mostly done by the slaves since they provided cheap labour. Farming was mostly done on large estates which were owned by wealthy Romans who lived in towns and hired managers to oversee their land. Religion was an integral part of the life of Romans and various ancient Roman jobs related to religion were required to sustain this institution. Religious administration, just like the political administration, was reserved for the Patrician Class. Important positions in religious administration included those of Augurs, Haruspices, and Vestal Virgins. The Augurs were the high priests who interpreted the will of the gods through the study of the flight of birds. Haruspices, on the other hand, were religious figures who made future predictions by studying the entrails of animals. Finally, the Vestal Virgins were virgin female priests of goddess Vesta and were responsible for maintaining the sacred fire for Vesta. Since ancient Rome was a vast empire, there was considerable trading going on not just with other parts of the world but also between different parts of the empire itself. Due to this large volume of trade, a variety of ancient Roman jobs for trade were available to the people. Common ancient Roman jobs related to trading and merchandise included fishing, making of weapons and tools, building, baking, fruit trade, hairdressing, and others. An extensive network of roads was built to facilitate this trade between different parts of the empire. A Roman farmer at work in his field. Entertainment was a very important part of the ancient Roman Empire, particularly in the city of Rome. There were various forms which included more sophisticated types of entertainment such as the theatre to more violent forms of entertainment such as gladiator fights. Various festivals and public gathering took place in the amphitheatres where sports such as chariot racing and enactment of battles were common forms of entertainment. Other forms of entertainment included gambling and the oldest profession in the world, prostitution was also common. The Making of sculptures, frescos, and finely created pottery and jewellery was widespread in ancient Rome and many people were employed in these professions. Roman artists were also employed to paint walls and large houses as well as public buildings. Ancient Roman jobs for craftsmen and artists not only included the decoration of pottery and jewellery and making of sculptures and frescos, but also making weapons for soldiers. These professions generally ran in families and the son of an artist or a designer grew up to adopt the same profession. Ancient Roman society was a complex mixture of all kinds of people and multiple ethnicities. Further, it was a vast empire with over 25% of the known world’s population under it’s control. A variety of professions were needed to sustain the economy of this large empire. The professions of power and prestige such as political and military administration were mainly reserved for the upper classes while the common people indulged in all sorts of diverse professions. A unique feature of this large economy was the heavy dependence on slave labour.